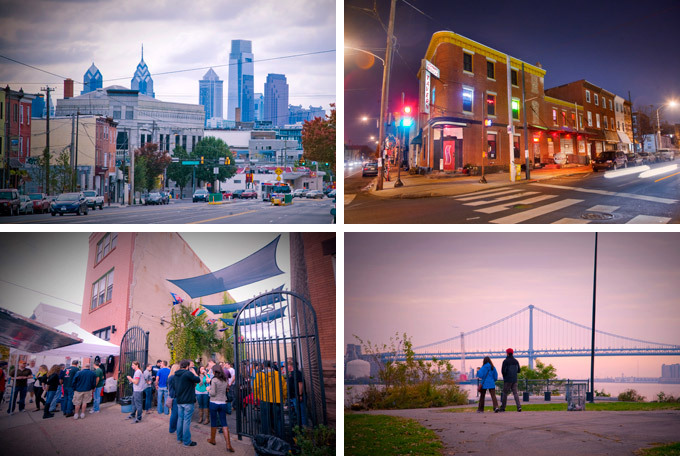 Philly locals have been in on the Fishtown secret for years, but tourists are just discovering the up-and-coming riverfront district. 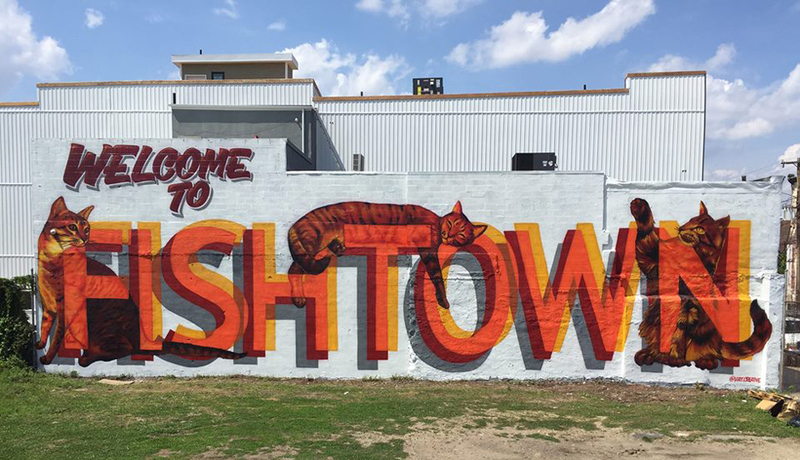 With hot new restaurants, hip music venues, art spaces, brewpubs, fab coffeehouses, dozens of bars, and the world’s first pizza museum, Fishtown has something for every taste. Recently, the local community group Visual Urban Renewal & Transformation (V.U.R.T) commissioned a mural to greet visitors to the neighborhood. The artwork was designed by painter/tattoo artist Evan Lovett in collaboration with local street artist Glossblack. This entry was posted in Art, Museums, Music, Restaurants, Tourism, USA and tagged La Colombe, Philadelphia, Street Art, VURT. Bookmark the permalink.